“When you show up to an interview, without saying a word, you are giving a message” says Lazina, “what do you want that message to be?”. According to Lazina: “you are in control of that message”. Your presence is how you convey your brand to others. Your presence is what others feel when they are with you and where your brand is seen. You can improve your presence by making conscious efforts to change how you are perceived based on the 360 you did, but Lazina also suggests looking online. It is not uncommon for people to look someone up before meeting them. Your online presence can help people understand what you value, what your interests are, and how you think. Online, Lazina says, you are in control of the message. You choose what messages you want to send, what photos you want people to see, and where you want to be seen. Use this to your advantage, as an extension of who you are. Some people don’t like being online because they don’t want people knowing to much about them, which Lazina says is fine, but use your online presence to deliver professional messages then. At the very least, use LinkedIn. LinkedIn provides a professional space to upload a photo, share industry related thoughts, and network. “If people can’t find you” Lazina notes, “that’s an issue”. If people can’t find you or don’t notice you because you are missing a photo or don’t have any content, you may be losing a potential client. Be aware of how you carry yourself. When you walk into a room, you should be standing tall. Even when you’re on the phone, Lazina says, it can affect your confidence. She admits that even when having important phone conversations, she prefers to walk around, stand up straight, or even do a ‘power stance’ to ensure she feels confident and her voice will reflect that. The final element to your personal brand is your attire. 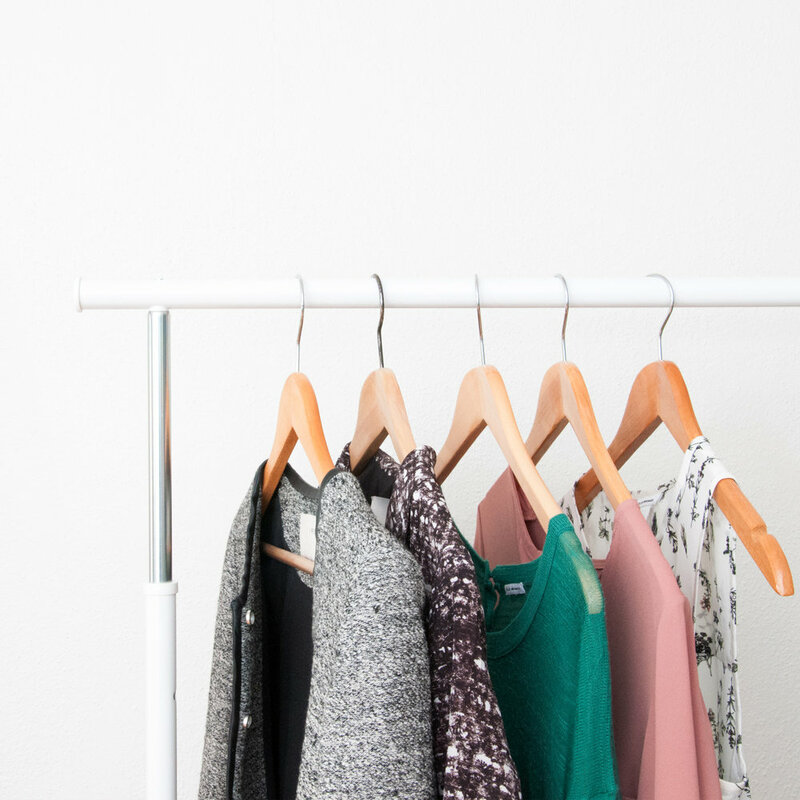 You can choose your clothes to represent your personal brand and how you want people to perceive you. Put outfits together that represent you, not that are glamorous. This is part of your style. No matter what context, a great blazer is an easy way to dress things up. Pick a blazer that is the right cut, even if that means getting it tailored. Pick a colour that is flattering on you. Consider your skin tone, height, and body shape to decide on these characteristics. A great blazer is so important, Lazina said, because it can add formality and it’s a great layering piece. You don’t necessarily need a suit, according to Lazina, but you need either pants or a skirt that works well with your blazer. They don’t even need to be the same colour, but they need to compliment each other. A fitted blouse or dress shirt. No, not an off-the rack blouse that has buttons pulled tight around your chest, and not an oversized dress shirt that bunches in the back. Lazina suggests buying a size up and having it tailored to fit you properly. A great pair of shoes. “You should feel comfortable, not teetering” Lazina warns. Her rule of thumb for heels is 2” – 3” maximum. A dark pair of shoes that goes with the rest of your outfit is key to completing your style. This applies to men’s and women’s shoes. They don’t have to be black, she says, but they should complement your outfit and be comfortable! As a final step, Lazina suggests adding personality. Try not to draw away too much by wearing anything over the top like super large, chunky jewelry or crazy colours (unless this is your brand). She suggests adding personality by choosing a blazer with designs on the cuffs or certain stitching. Add a belt or pair of earrings, or a bag that really represents you and makes you feel good. Your style is entirely a representation of your brand, and you should always feel good in it. Dress two steps up. See what others around you are wearing. Notice the most casual and the most formal dressed and figure out what the middle of these would look like. Then dress two steps up from the middle. Be comfortable – you don’t want to think about what you are wearing, you want to think about who you are and what you are doing. Dress the widest part of your body, and then tailor everything else down so it fits properly. What are your top style suggestions? What are your biggest style concerns? What does your power suit say about you?